Mixed media met acryl. Gelaagd en kleurrijk. 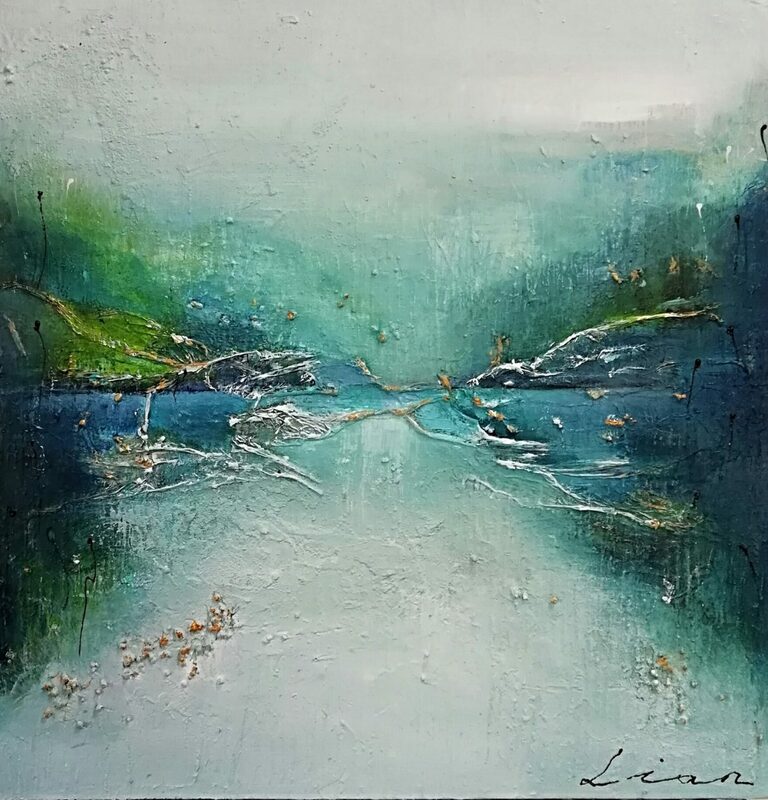 A global impression of the painting "Stream" 50x50cm.